Chess Strategy in Action (CSA) is John Watsons eagerly awaited follow-up to Secrets of Modern Chess Strategy (SMCS). If SMCS was an update to My System, CSA is the new version of Chess Praxis. For those poor souls foolish enough to have skipped it, SMCS traced the evolution of chess strategy from Nimzowitsch to the current day. The basic premise was that modern players were much more rule independent than their predecessors  the modern master is perfectly happy to put his knights on the edge of the board if the situation calls for it. This premise was thoroughly investigated throughout the reach of chess strategy as Watson looked at the differences in the handling of pieces, pawn chains, the increase in exchange and pawn sacrifices and so forth. While the book had its critics, it met with general acclaim and won just about every award a chess book is eligible for, including the all important BCF Book of the Year. CSA is a straight up sequel, filling in the gaps if you will. Over a third of SMCS was devoted to establishing the base line of strategy as it existed in 1935, leaving less room for actual exploration of the ideas. At many junctures, Watson would end a discussion with the observation that he was curtailing it due to space reasons, or that a whole book could be written on the subject. This then is that book. Watson uses the introductory chapter to remind the reader of what was covered in the first volume. This has the commercially desirable effect of making CSA a stand alone product. Familiarity with SMCS is not required. Watson also assures us CSA is new material. He is still exploring the same thesis, showing us how the modern game treats things differently, but the subjects covered are either covered in more depth than in SMCS or are subjects that were not dealt with at all. For instance, the chapter on modern pawn play in SMCS was one of the longest sections of the book. 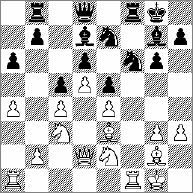 One of the topics was the modern players use of g4/g5 very early in the opening, a striking example of change in strategic approach. In CSA, the chapter on pawn play is by far the biggest section, almost a third of the book. The section on pawns and flank play is 26 pages all by itself. Watson notes what he wrote about in SMCS, then proceeds to discuss flank operations in general, showing how current players are far more likely to conduct operations on the flank, and make pawn moves their forbears would not. Same topic, new materials and ideas. 19.g5 Nfe8 20.Rxf8+ Bxf8 21.Rf1 b5 22.axb5 axb5 23.Qf2 Qe7 24.Qf3 bxc4 25.bxc4 Rb3 26.Bd2 Na6 Off on another trip. See where he ends up this time. 27.h4 Nb4 28.Qd1! Avoiding 28.h5 Nc2 and ...Nd4. 28...Ra3 29.h5 Nd3 Black is better because he can sacrifice a pawn with ...Nf4 (threatening ...g5), and even if the piece is captured Black gets the long diagonal for his bishop to terrific effect. It should be noted that most of the annotations, and especially those in the games section, are far more serious and in depth than that given above. It is included to not only show Watsons wry sense of humor peeping through this serious work, but how thorough his research is. Who has ever looked at this game before?! The last third of the book consists of 35 games deeply annotated by Watson. While the notes are typically thorough, he is not seeking to achieve the levels attained by say Stohl in Instructive Modern Chess Masterpieces. Rather, he is attempting to demonstrate the ideas put forth in the book in actual play. Most of the games are from the last three or four years, with more from the 90s, and a few from the '60s-80s. One game from 1936, Kan-Eliskases, is included, as it shows the pioneering of a number of the modern ideas at a very early date. The last game is Nimzowitsch-Olson, 1924(!). It is included simply as a tribute to Nimzowitsch, the guy who started it all. It should also be mentioned that the index reveals almost three hundred players are represented, and many have more than one citation. The wealth of material examined cannot be overstated. It is as up to date as possible, with mentions of at least two books that have not yet reached the printer  one being Watsons contribution to the forthcoming Pal Benko autobiography. The bibliography is revealing as to the direction the modern game is taking  the usual books are of course mentioned, but such data intensive sources as The Week in Chess and Chessbase Magazine as well. It is current through Informant 86. Considering 87 was just released, that is indeed up to date. I cannot imagine any chess player not being fascinated by the discussion as presented by Watson. In SMCS he issued a strong caveat that it was not an instructional work, but rather a more academic survey of how strategy has changed, and he issues the same warning in CSA. That being said, I think it would be impossible for a player to study this work and not have his understanding of the modern game greatly enhanced. This book will probably not receive the same wide spread acclaim as SMCS, much as Praxis is not as valued as My System. The first was ground breaking where the second is seen as simply more of the same. To ignore this book because you have read the first would be a mistake. The game selection alone makes it a very worthwhile investment of time. Strongly Recommended.